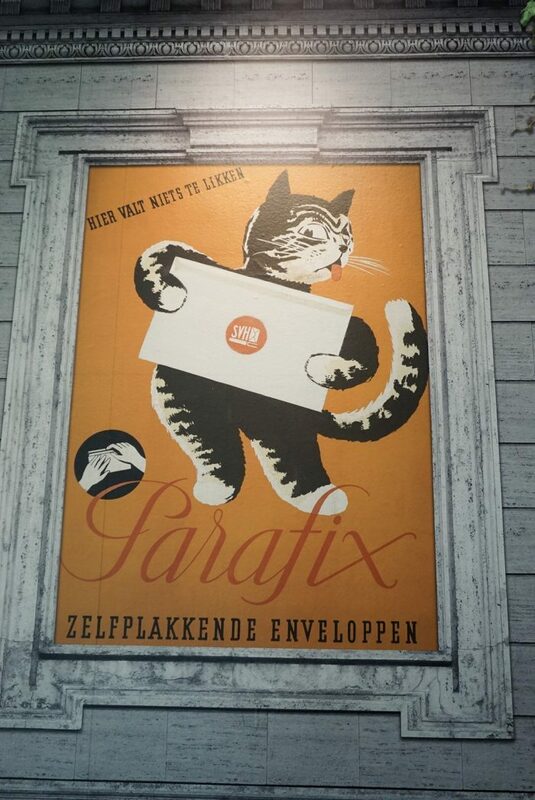 So, we first decided to visit the exhibition about cats “Kattenliefde: negen levens in de kunst” (Love for cats: nine lives in art). Although we already knew how cats rule the (online) world, we were definitely curious to an exhibition about cats. 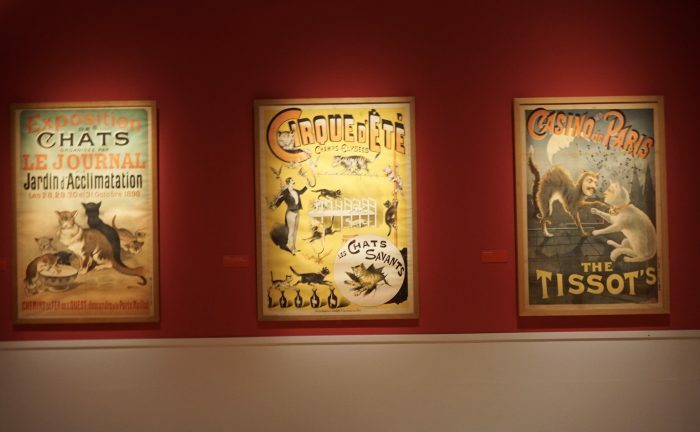 In this exhibition you’ll see art pieces through the eyes of artists from the 20th century until now, in various perspectives. 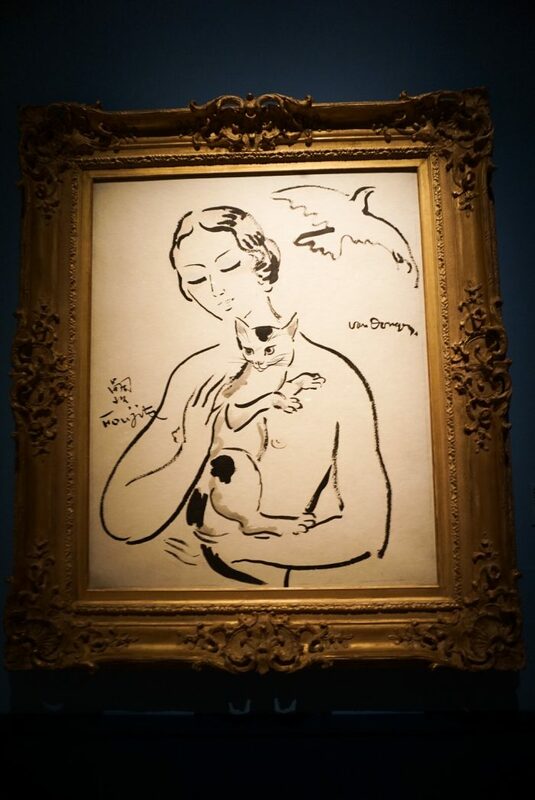 From the cat as symbol of elegance and glamour to funny cat movies which we’ve seen the last couple of years on the internet. There is also an accessory section where you can buy various cat items. Good old “Grumpy Cat” also leaves his mark there. I didn’t really have expectations for this art section, but I was really impressed by the way this exhibition was set up. 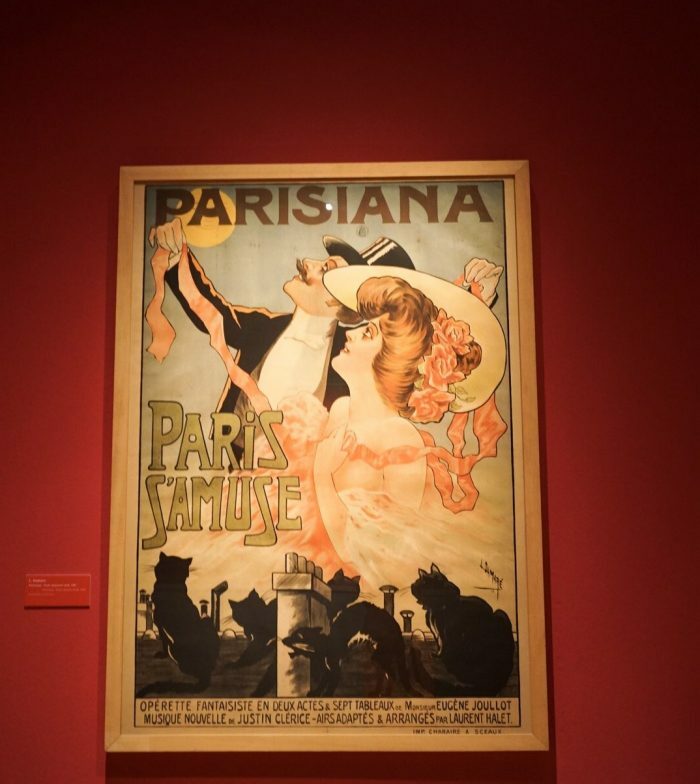 You didn’t just see art on the wall, it was a whole “catsperience”, which also made this exhibition very suitable for children. There was enough to see, like various types of art on the wall, but you could literally get in the couch potato flow, by sitting on a pillow and watching cat movies. You also had the opportunity to make a picture with a cat filter similar to snapchat. 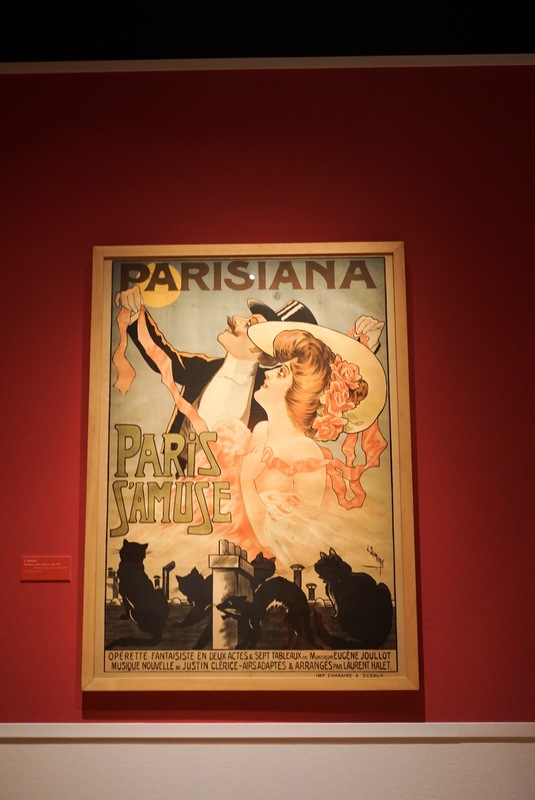 This exhibition fits perfectly to the modern time with lots of interactive elements. Ready for take-off? 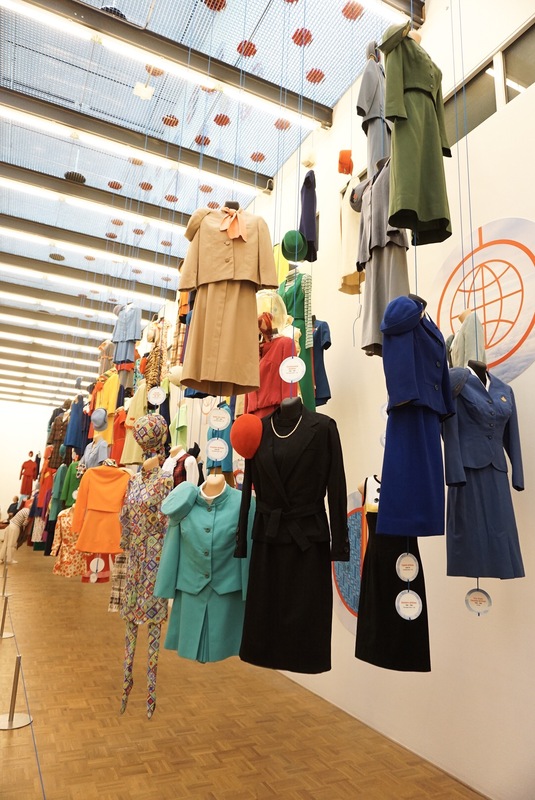 Destination: Exhibition number two “Cabin Crew: Fashion in the air”. 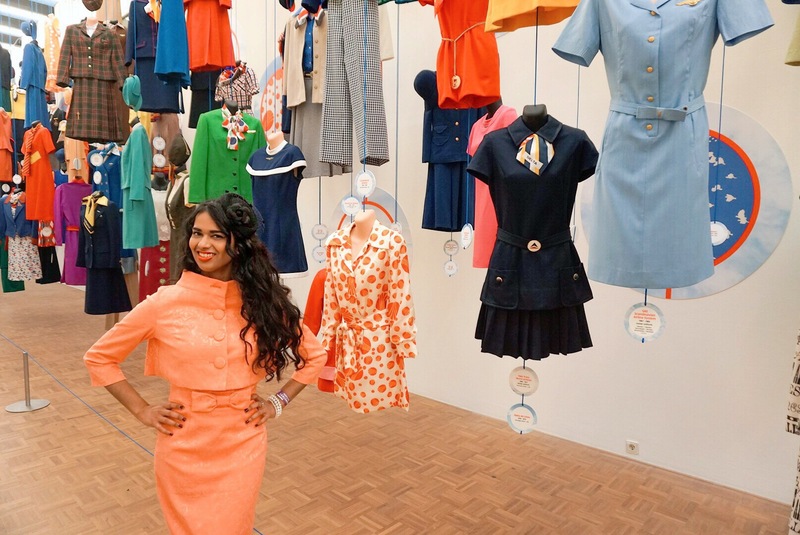 The Cabin crew outfits of this exhibition are part of a collection of 1405 (!) 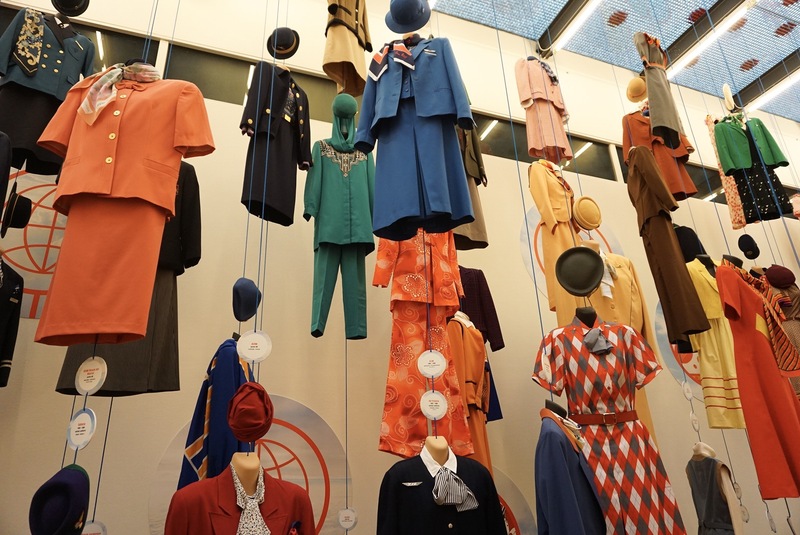 cabin crew outfits through the years, selected by Dutch purser Cliff Muskiet. 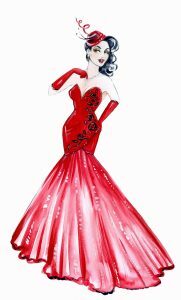 The outfits originate from several airlines throughout the world. 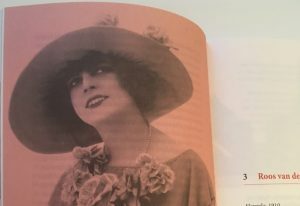 The best summary of these fascinating outfits: In yesteryear, designers weren’t afraid of a little glamour, color and standing out of the crowd. Another thing that I noticed: It’s all about the details. From the headpieces to the scarves, everything matches perfectly. The first thing, I thought was: “So much color!”. The second thing: “I would love to wear these on random days” and last, but not least: “I want them all”. Ok not everything, but at least 90% of what I’ve seen! 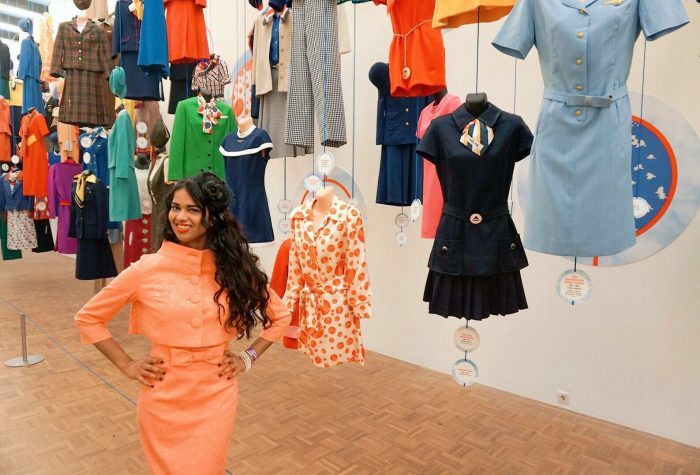 The outfits are literally hanging in the air and you’ll definitely make a second round around these cabin crew outfits. Every time you’ll see new interesting details or outfits that you didn’t spot on your first round! 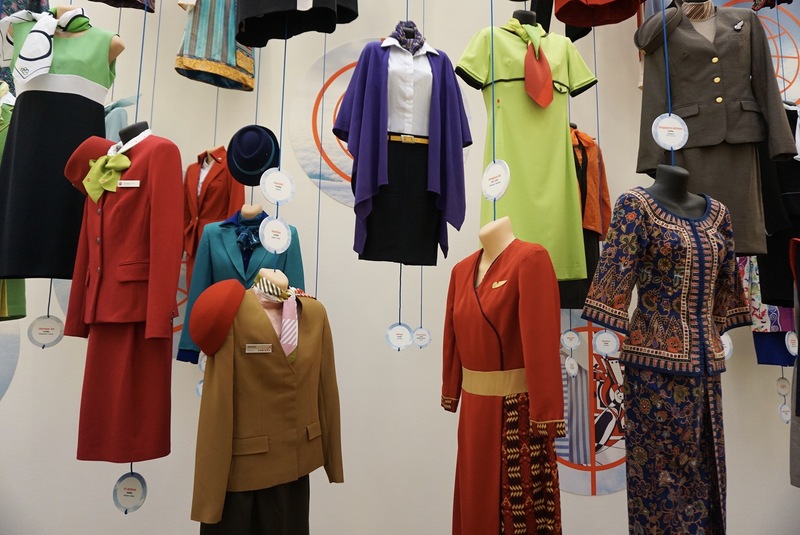 If you have an eye for vintage fashion, you’ll notice the differences between cabin crew outfits from the more sober post-war periods and for example the (subtle) differences between the various eras. Seeing all these colorful and classy outfits, which were standard in the old days, made me slightly dissapointed when I thought about current mainstream fashion. 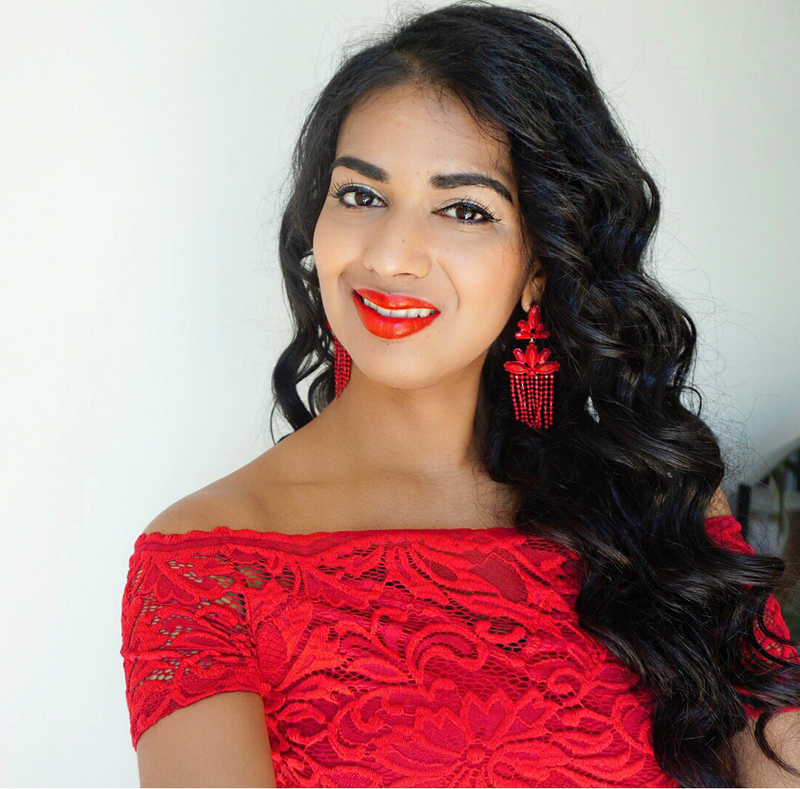 In my opinion, most current fashion is so “safe” and shapeless and definitely missing daring colorful elements, patterns and feminine silhouettes. It’s actually one of the reasons why I love to wear fashion from retro brands. 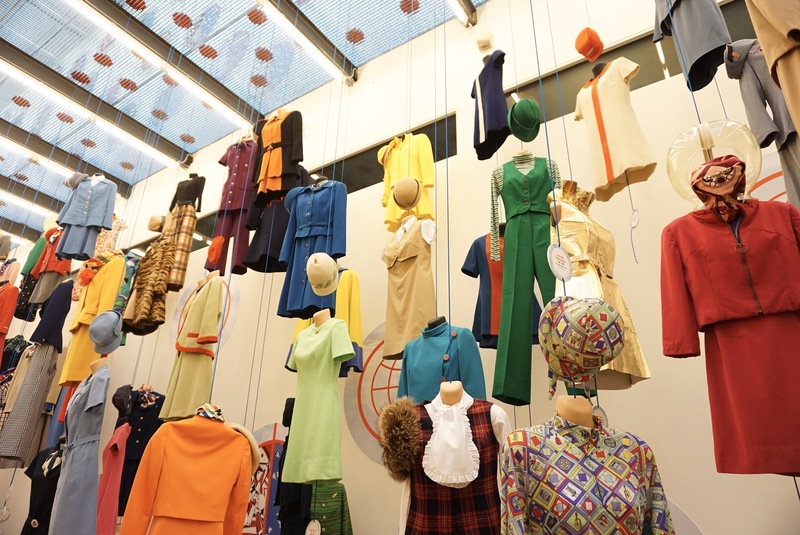 One way or another: If you’re interested in aviation and vintage fashion, this exhibition won’t dissapoint you. 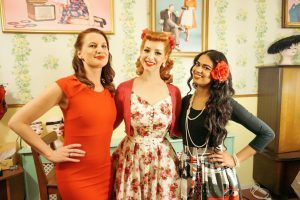 Interested in retro looks? Follow me on Instagram.